Are you interested in helping to create healthy communities? BetBlocker is a free tool to help you control your gambling. Install it on as many devices as you like and you can block yourself from accessing over 4300 gambling websites. You can select how long you want to be blocked for. Take 5: It means taking a break – stopping for a few moments and assessing where you are, where you’ve been and where you’re going. But Take 5 is so much more than that – it’s also 5 easy steps that you can take to help decide if you need to change the way you gamble. If you or a loved one has ever wondered if gambling is putting you at risk, maybe it’s time to Take 5. * Initiate a Secure Chat with one of our counselors by logging into the GamblingSupportNetwork.ca website and clicking the “Chat with a Counselor” button. *Find out more information about Group Forums. A new interactive group chat session with experienced counselors and/or clinical therapists offered on a monthly basis. * Text the word TAKE5 to 1-902- 700-7702 to enroll in our motivational SMS/Texting program from your mobile device. We will send you helpful motivational messages along your journey to quit. Carrier charges may apply. It’s never too soon – or too late – to get help. Even if you’re not ready to make a change just yet, you can still get information, advice, and support. It’s free of charge to all Nova Scotians. Just like any medical record, your information and consultation is kept confidential. The Addiction Services office nearest you could be in a professional centre, a mall, or in another healthcare facility. If you would prefer to visit a location outside your community, you can do that, too. Check Addiction Services offices to find help and support near you. The VSE Program is there to help you. All you have to do is visit the Responsible Gambling Resource Centre (located at both Nova Scotia casinos) or call (902) 424-8663 (Halifax) or (902) 563-3797 (Sydney) to speak with one of our professional and friendly staff. You can also ask any casino staff member for help. From there, you will meet with security staff to begin your enrollment process, which will include signing an agreement and having your picture taken (to help with detection so staff can help you keep your self-exclusion agreement). 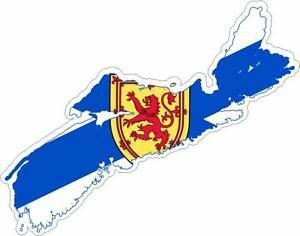 Currently, Nova Scotia offers the program on an indeterminate ban-length basis. This means there is no end date to your exclusion without requesting reinstatement. The Utility and Review Board, an independent board, handles the reinstatement process. Being excluded from the Casinos means that you will no longer have access to the gaming floors, nor will you receive marketing materials or email from the Casinos. 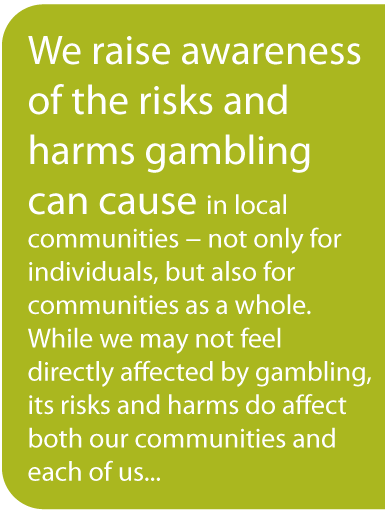 Gambling Risk Informed Nova Scotia (GRINS) is a not-for-profit organization based in Nova Scotia Canada. We have an all-volunteer board of community members who care deeply about the health and safety of our communities. Our members have backgrounds in injury prevention, seniors’ safety, addictions counselling, health promotion, community psychology and small business. Our New Name and Website! Friday, June 20th Celebration – Come and see us! Come to a Celebration of our Work and AGM! Visit the Who We Are page. Want to learn more about what we know? We have compiled articles and other links! Visit the What We Know page. Want to support the work we do? We appreciate donations of all kinds!